The Globe Telecom released the latest summer sale promo of their Globe Tattoo mobile Wi-Fi devices. 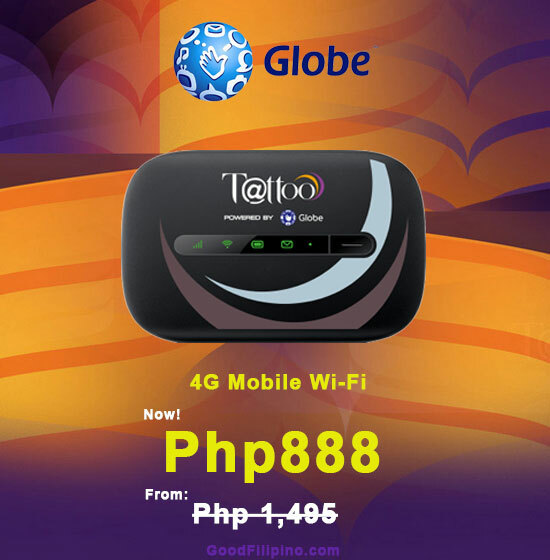 Globe Tattoo 4G mobile Wi-Fi can now be bought at any store nationwide for only Php 888. The prepaid 4G Mobile Wi-Fi from Globe Tattoo has a speeds up to 12 Mbps and can connect up to 10 devices simultaneously. The model of their mobile Wi-Fi is Huawei E5330B where you can also buy the unlocked version on the retail store at the Mall. Globe Tattoo 4G Mobile Wi-Fi now retails for just Php 888 coming from Php 1,495. The company slashes the 40% of its price. You can grab the opportunity until the promo last. This is a great deal for all but remember the device internet speed will still depends on your location. Before you buy this product you should already tried to check the signal on your area. Note: This is not a paid post, we just want to share this to others who was looking for cheaper pocket Wi-Fi device. 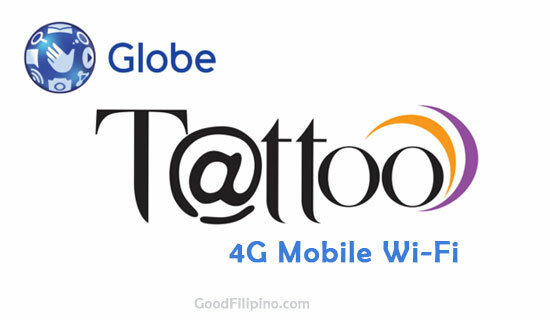 What do you think of Globe Tattoo 4G Mobile Wi-Fi? Share your thoughts below. Comments or suggestions about "Globe Tattoo Summer Promo 4G Mobile Wi-Fi " is important to us, you may share it by using the comment box below.